"The scenic French River is one of Canada’s original voyageur’s highways”. Explore the fractured land and waterscape of the “delta”—the point where the French empties into Georgian Bay. Play hide and seek among the hundreds of small islands and shoals. The French offers many opportunities for adventure - viewing waterfalls and wildlife. The area is also renowned for its sport fishing. Given the numerous channels of the delta, it’s easy to find a quiet corner on this picturesque river. Georgian Bay is famous for its huge elusive muskies topping the scales at 50 lbs and plenty of large pike to make your arms fall off. 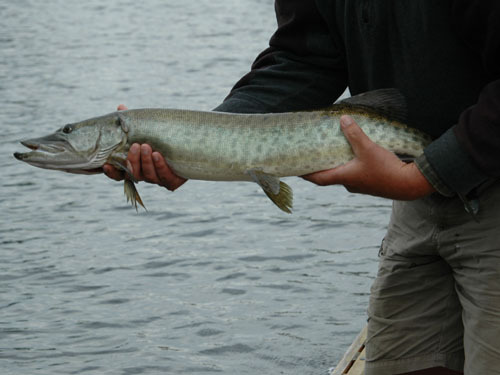 Your guide, Indrek Kongats, grew up on these waters and knows every musky lair. Fly fishing for musky it's all about the strike. The strike is unforgettable! 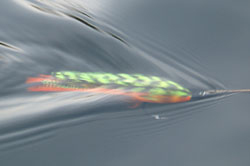 Indrek's own hand tied "Northern Tiger" musky flies are the ticket for catching big muskies and pike on the fly rod. Rain or shine these fish are furious eaters but will hammer your fly whether they're hungry or not, day and night. Everyday a new area is fished in the French River delta. The beautiful Georgian Bay scenery will mesmerize you. Sleep soundly in comfortable tent cabins and enjoy all the food you can eat. This is an old fashioned fishing experience where your comfort is the key to a memorable trip. TRIP INCLUDES: Backcountry Accommodations, Meals, Ontario Conservation Fishing License and Guided Fly Fishing. LODGING: Accommodations are in a boat to riverside camp on the banks of the French Rivier. Roomy 10'x 12' wall tents for anglers are equipped with comfortable oversized cots, rugs, tables and chairs. Meals are served in a separate dining and kitchen tent. FOOD AND BEVERAGES: Breakfast, lunch and supper are all included. Beginning with a hot and healthy breakfast that will carry you right through to lunch served back at the camp. At the end the day sit down to a rewarding full course meal that will range from Montreal steaks, Chiavettas chicken to mouth watering 100% Angus beef burgers and of course the occasional pan fried trout. Refreshments of alcoholic beverages of wine or beer must be picked up in town before arriving to camp. 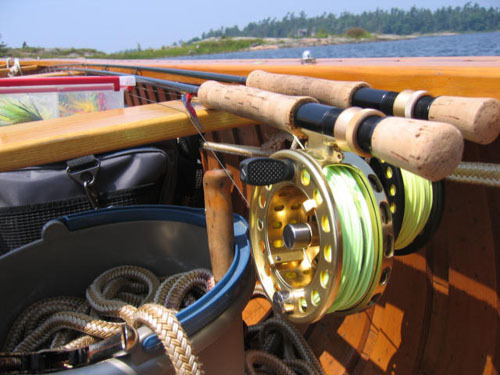 •	Bring along a couple of fly rods from 8-10 weights, single handed versions. •	A quality reel with a smooth drag system is a must as is several hundred yards of 30 lb backing. •	Intermediate to fast sinking shooting heads are the norm but floating lines can be used during evening to present a killer mouse on the surface. •	8" Single Strand Wire Leaders, Mono Leaders and tippets range from 3' to 12' with a breaking strength of 12 lbs to 25 lbs. •	A rain coat, multiple layers for cold and windy days add to the anglers comfort and make for enjoyable long days on the water and protection against the elements. •	Biting bugs in the late part of the season can be few and far between but pack some insect repellent. •	An inflatable fly vest or suspenders are a good substitute to a bulky life jacket and should be worn at all times on the water. •	Personal gear is up to you but you'll need a sleeping bag good to minus 15 degrees Celsius. for specific Nipigon River Brook Trout flies if you prefer to purchase your own. 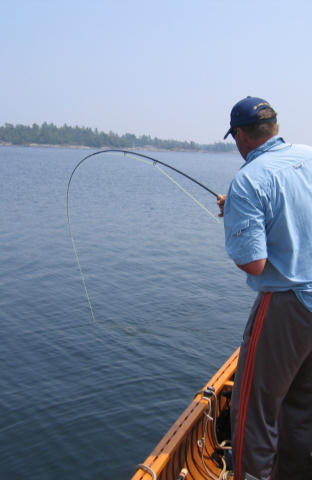 •	3 Day French River Trip - $2,599.00 USD first rod, additional days at $795.00 USD. 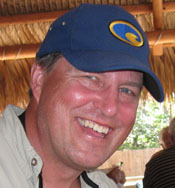 •	An additional rod is $395.00 USD per day with maximum two rods per trip. •	7 Day French River Trip - $5,779.00 USD for the first rod and $2,565.00 for a second rod sharing tent and guide. •	Not included - alcohol and tips. •	Rates are subject to change without notice. 50% deposit per rod of the total package cost for each trip is due at time of booking to secure the trip reservation. Full payment is due 60 days prior to departure and start of trip. Trip packages are non-refundable, it is highly recommended that you purchase trip insurance in the event that you have to cancel, for any reason.